The Rebel Sweetheart. : SHINee Designs for Skechers. 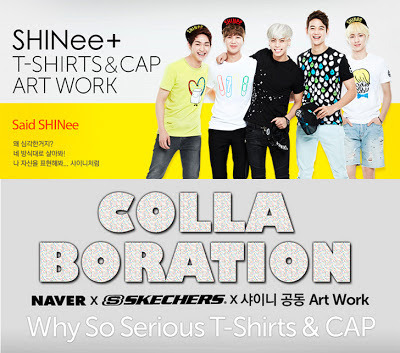 KPop idol group SHINee has taken their modelling stint with Skechers to the next level. Now, they are not just brand endorsers, they have become designers as well. 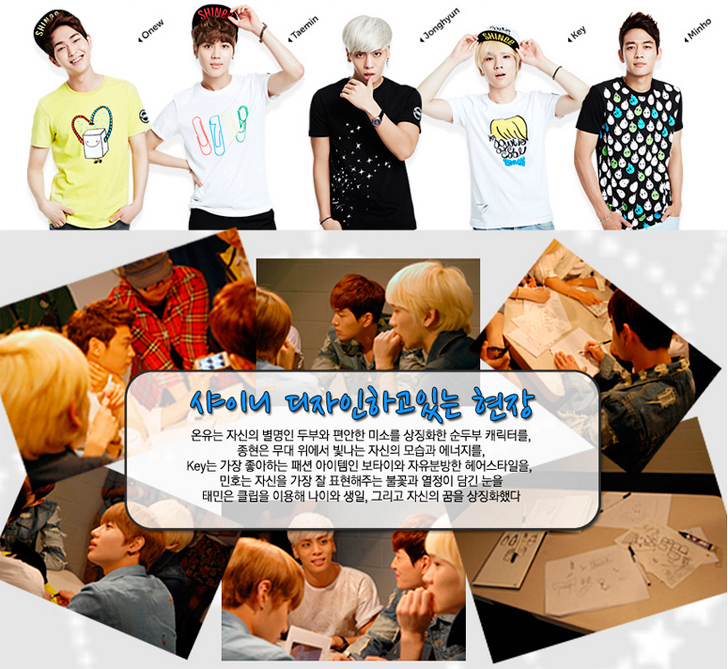 Onew, Taemin, Jonghyun, Key, and Minho met up with the design team of Skechers to brainstorm ideas, after which they made drafts of their favorite themes individually. According to a Skechers representative, "The 5 members of SHINee actively participated in the design process from start to finish, and left the staff feeling stunned. The designs will focus on SHINee’s unique sense of style, so we believe that we can definitely produce something that will reflect on each member’s personality." This project was done in collaboration with portal website NAVER, where the caps and shirts designed by SHINee will first go on sale. International Kpop fans can also avail of the 'Why So Serious' collection via YesAsia, where preorders can now be made. ang cute!ikaw na talaga ang reyna ng Korean sa Pinas :) so are you going tothe Line event?